What causes brakes to squeal? What can I do during installation to ensure my brakes won't squeal? What is the proper procedure for breaking in new brake pads? Do you offer exchange units? Sometimes a user may experience brake noise when no maintenance is required. We call these NVH (Noise, Vibration and Harshness) issues. 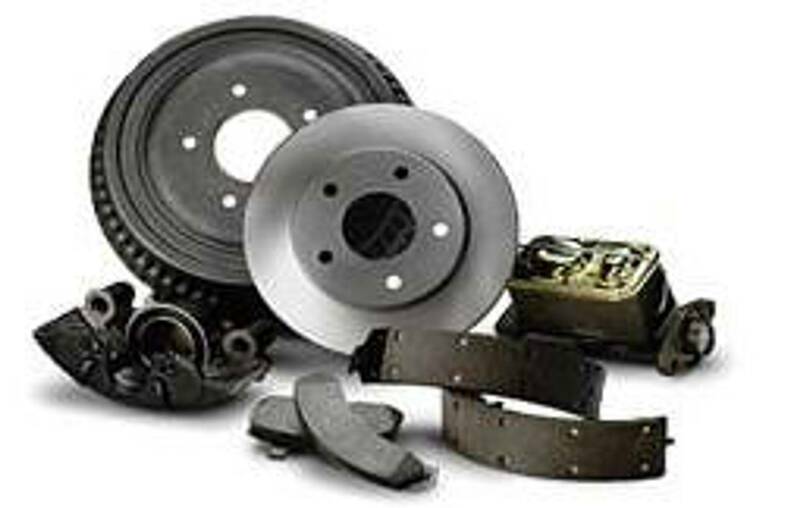 Brake squeal is typically caused by vibration between the brake pads, rotors and brake calipers. Some brands of semi-metallic brakes are more likely to experience brake squeal due to the metallic ingredients in the brake pads. We are sure to use products with great reputations for being low noise and high performance. Correct brake pad break-in (bedding) is important to assure quality braking performance over the life of the pad. This procedure allows the rubbing surface of the brake pad to slowly be brought up to temperatures. Proper bedding creates a transfer layer film of friction material to be applied to the rotor surface. This increases the stopping performance of the brake pad and can reduce pad and rotor wear. *If during the above steps the brake pedal becomes soft of brake fade is noticed, park the car immediately for approximately 20 minutes. Do not hold brake pedal. Upon completing the procedure, allow the brake system to completely cool. When a brake pad glazes over, the friction surface develops a cloudly or glassy-looking coating. It is possible to remove the glazed surface by using sand paper to grind away the damaged layer and expose a new layer that will require the proper bedding procedure. The cost depends on the unit. Complete the online Quote form (click here), email [email protected], or call 260-426-3331 to talk to our friendly staff who will be happy to give you a quote. Generally it takes 2 to 3 business days to complete once the unit is received in house. Please include the completed order form (click here) or a note with your name and contact information and the year, make and model of the vehicle. Please include any specifications or additional instructions if needed. We will contact you when the unit is completed. At that time we will request your credit card information. Please do NOT include this information via email for security purposes. We accept Visa, Mastercard, Discover, and American Express. We do not accept out-of-state checks. Money orders are accepted but will delay shipment. Payment must be made before we will ship your order. We will return the booster via UPS ground to the address you requested unless otherwise specified. For the most part we R & R your unit, but for some units we offer exchange. Please contact us at 260-426-3331 for additional information. We use standard automotive black paint or at an additional cost we offer an optional powder coat hard finish.